Snowshoers ready to take on the trails at Woodlawn Museum on Saturday. Protect the land you love - please make a gift to our Revitalize! capital campaign today! Although the weather turned rainy, we enjoyed participating in the Ellsworth Winter Carnival and Great Maine Outdoor Weekend last weekend. 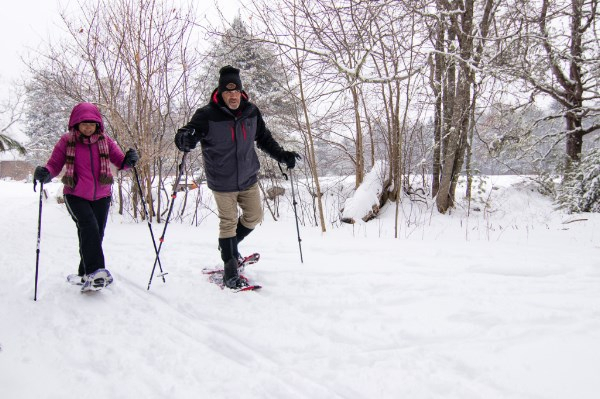 Numerous people used our snowshoes free of charge to explore the Woodlawn Museum Trails. Make every weekend a great Maine outdoor weekend! On our 19 trails, the possibilities for winter activities are endless. Have you tried snowshoeing? 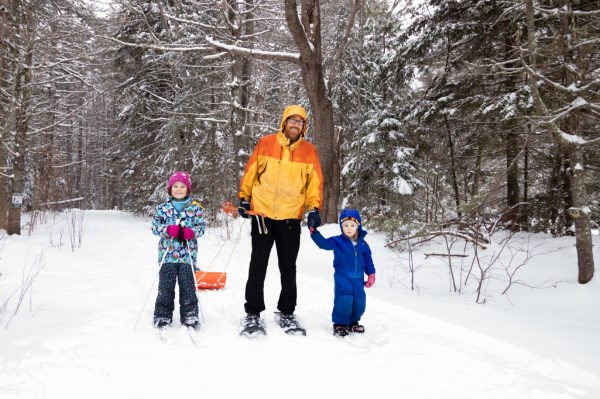 This guide to choosing and using snowshoes can help you step out onto the snow to explore our 25 miles of trails. What animals share our preserves? Learn how to identify species based on their tracks and discover the paths of active winter animals. Do your binoculars gather dust in the winter? At our waterfront preserves like Tidal Falls, Taft Point, or Indian Point, the keen-eyed visitor can spot dozens of duck species or even a bald eagle. Do you have more ideas of how to enjoy our preserves during the winter? Let us know on Facebook! What value do land trusts provide to Maine? To answer that question, Maine conservation leaders wrote to local papers. Meanwhile, Maine Public Radio corrected misleading claims about land conservation in our state. Find links below. In the Portland Press Herald, Maine Land Trust Network's Nick Ullo and Angela Twitchell explain how Maine's land trusts support "the way life should be." In the Bangor Daily News, Maine Audubon's executive director, Andy Beahm, makes the case that land conservation is crucial component of Maine's economy. Susan Sharon with Maine Public fact checks the Governor's recent claims about Maine land conservation. Please take a few minutes to let your local representatives know how you feel about protecting Maine's beautiful, life giving, and economically essential natural areas. Find your local senators' contact information here. This month, Frenchman Bay Conservancy expanded by promoting Eileen Hall to the new position of Land Protection Manager and hiring Austin Schuver for the part-time position of Community Engagement Coordinator. Eileen Hall joined the staff of Frenchman Bay Conservancy in April 2015 as the organization's first Community Outreach Coordinator. For the past three years, her work has involved ramping up FBC's social media presence, promoting our mission through events and other various public relations strategies, and managing stewardship volunteers and seasonal staff. 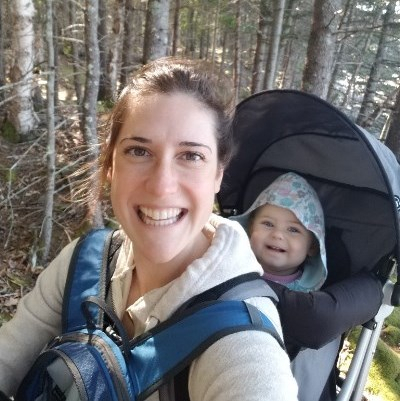 Eileen has now moved into another new role at Frenchman Bay Conservancy—Land Protection Manager. She will continue to oversee FBC's stewardship work as she transitions into working directly with landowners and developing land protection strategies, under the guidance of Aaron Dority, FBC's Executive Director. Previously, Eileen worked for The Nature Conservancy in Iowa where she led an integrated statewide freshwater program, as Freshwater Conservation Manager, with emphasis on sustainable conservation of priority watersheds. She worked directly with farmers and landowners to protect freshwater ecosystems, restore natural stream ecology, and support sustainable agricultural practices. Eileen is excited to return to science-based project management and to lead FBC's entry into fish passage and stream restoration efforts, a growing and critically important aspect of land conservation. This January, Austin Schuver graduated with a bachelor’s degree in human ecology from College of the Atlantic in Bar Harbor. 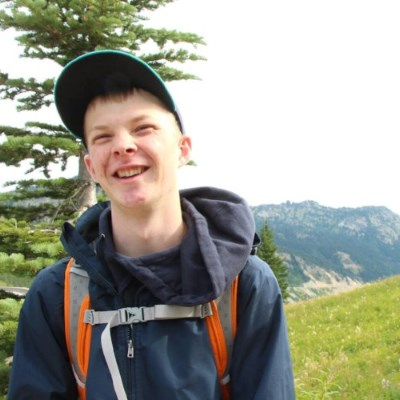 He studied natural sciences and conservation, most recently traveling through five western states to research public land policy for his senior thesis. Austin studied songbirds and gulls on Great Duck Island this past summer, assisting with College of the Atlantic’s ongoing research program on the small island south of Mount Desert Island. At College of the Atlantic, he also served fellow students as a writing tutor in the campus’ writing center. In addition, Austin worked for FBC last spring. As a land conservation intern, he explored FBC’s preserves by foot and through tax documents, prepared information for the organization’s strategic planning process, and assisted staff with other projects. 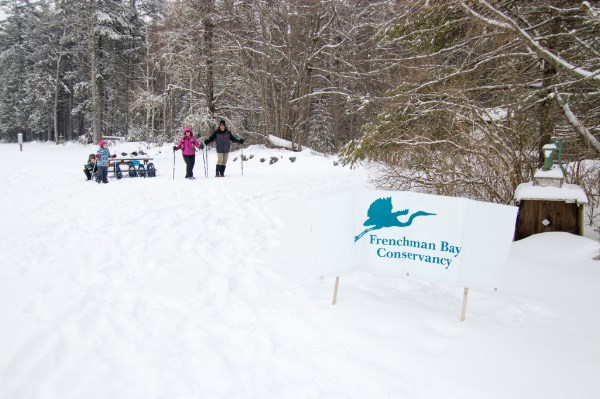 As community engagement coordinator, he's excited to organize events, connect with members and visitors, and listen to how Frenchman Bay Conservancy can better serve its communities—not to mention create these emails and share the wonders of FBC's work through social media. If you have suggestions for Austin or if you're interested in seeing birds on one of our preserves, you can reach him at austin@frenchmanbay.org. Many of you have been closely following the discussion regarding the re-development of the former Blue Nose ferry terminal in Bar Harbor. During much of the past year, the debate focused on whether or not residents of Bar Harbor, and more broadly, residents in the Frenchman Bay region, wanted this facility to be the site of a future cruise ship pier. Last fall, on November 21st, the Bar Harbor Town Council unanimously voted to follow the recommendations from its Ferry Terminal Property Advisory Committee, and turn the property into a town dock, recreation, and parking area. This vote appeared to definitively put to rest the question of allowing cruise ship berthing at the old ferry terminal. Unfortunately though, many people around Frenchman Bay have lingering concerns that their elected leaders are still greasing the skids for a cruise ship dock, pointing to recent comments from the Council Chair asserting that the Council has not in fact made a decision on this topic, as well as to recent state legislation that would enable the Town to establish a port authority, which would be needed if the Town develops the site for cruise ships, but may not be needed otherwise. Tens of thousands of acres of land have been conserved all around Frenchman Bay by dozens of public and private partners. Future decisions regarding development on the shores of our bay need to be evaluated in terms of how they will impact our natural environment and our collective quality of life. While our board of directors decided last year not to take a formal position at that time, we have voiced our support for continued conservation of this majestic part of the world. So many people flock to Mount Desert Island and the communities surrounding Frenchman Bay because of its natural beauty. Tens of thousands of acres of land have been conserved all around Frenchman Bay by dozens of public and private partners. Future decisions regarding development on the shores of our bay need to be evaluated in terms of how they will impact our natural environment and our collective quality of life. Residents of communities all around the Bay should have some say in developments that will impact the well-being of all of them. Currently, only residents of Bar Harbor have decision-making authority for the future of the ferry terminal site, frustrating residents of other communities also impacted by that decision. We need a better way to make decisions in the Frenchman Bay region. Other states have addressed this problem in multiple ways. It is time for the towns surrounding Frenchman Bay and our state elected officials to work together to design and implement a new approach to management of issues that involve many communities around a bay. While we expect that Bar Harbor residents will hold their local Council members accountable on their November, 2017 decision to support a public dock instead of a cruise ship berthing facility, this issue will not be the last one impacting thousands of people across multiple towns. It is time for a better approach to protecting the natural splendor of Frenchman Bay for the benefit of all. Previously scheduled for Sunday, February 18, 1:00 to 3:00 pm. Due to icy and potentially dangerous conditions, we have cancelled the Simon Trail Snowshoe. Sorry for any inconveniences.